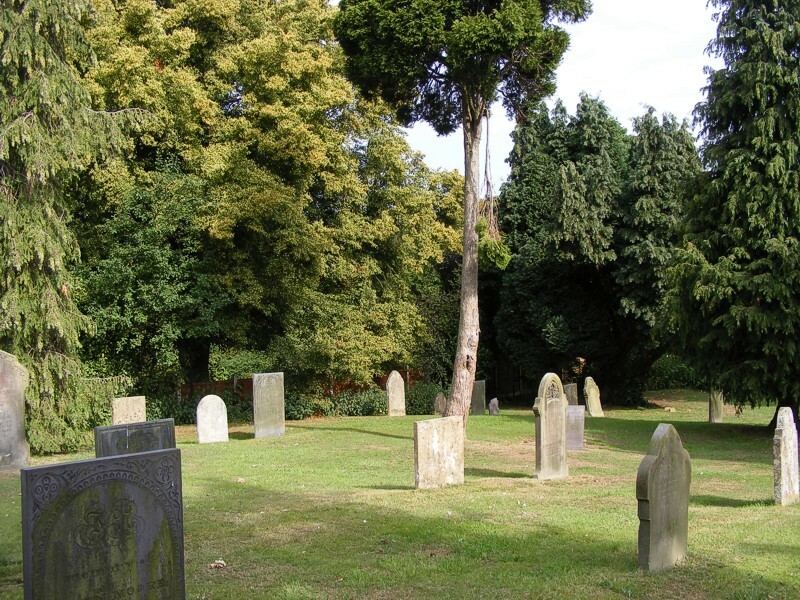 Over the centuries the churchyard was overburied and overburied again, so that the earth is riddled with human remains: it was closed for new burials in 1887. 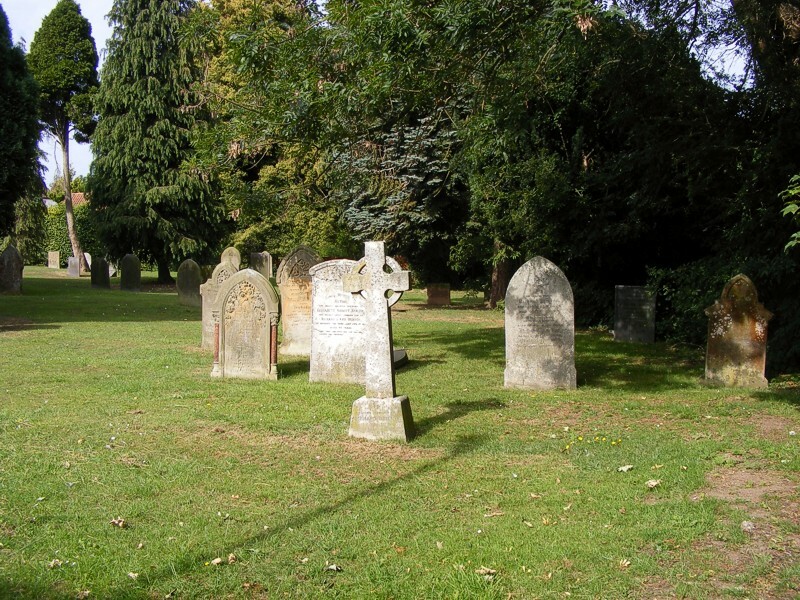 Main Street was straightened in 1968, a part of the original churchyard was taken into the road, but all the earth retained in the churchyard, and all bones reburied to the north of the church. A new retaining wall was then built of stone from elsewhere: the original stone, which had some traces of moulding, may have been from the Norman Church when it was taken down in 1772. The gate of 1881 was retained: there was already provision for a lamp – probably oil-burning – above the gate, but the present electric light is housed in an old gas street lantern from Arnold, and was installed in 1959. In 1971 the path to the church was widened and lined with York stone paving from Nottingham Lacemarket to prevent the sides crumbling and revealing more human remains. Photographic evidence reveals that before 1935 a huge yew tree stood to the south of the church, the stump being removed in 1966. None of the existing trees are very old: the oak celebrates Queen Victoria’s Golden Jubilee in 1887, the lime tree her Diamond Jubilee in 1897. The oldest gravestone, to one Margaret Wilkins, dated 1698, is some eight yards from the top step opposite the church door, a little to the left. On a morning in February 1772 Ann Webster, the wife of a Calverton wheelwright, decided to go to Nottingham market with her butter and eggs. She was accompanied, on horseback, by one of her neighbours. On the way a very heavy fall of snow, with an arctic like wind, began in the early afternoon. At around 5pm, they came to the opinion that it would be best to return to the village. With great difficulty they persuaded their reluctant horses to face the icy wind. They both managed to reach a point about one mile from home. But by this time Ann was very fatigued, she told her friend to go into the village and fetch her some assistance. The neighbour reached Calverton – two men raced on their horses to aid Mrs Webster. Unfortunately they took the wrong turning, and therefore did not find Ann or her horse. The next morning, the poor woman was found dead. She still held the bridle of her horse in her frozen hands. Her body was found on a road known locally as Redgates Hill.